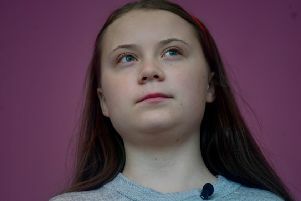 A banner at the recent schools’ climate protest suggested that ‘if the climate was a bank, it would have been saved by now’. It’s hard to disagree. As I found later, it’s also hard to explain to a 12-year-old daughter why our leaders might choose to preserve a bank ahead of a functioning planet. For years, decision-makers seemed to be in a strange, conflicted place: recognising the urgency of climate change, acknowledging the unthinkable consequences of inaction, yet still singularly failing to commit to what is necessary. Now, for various reasons, it feels as if the urgency of the climate crisis is finally coming to a head, making it increasingly impossible for leaders to ignore ever-growing demands for a wholesale re-think of how the economy and society work. Perhaps the most obvious factor is our ability to see with our own eyes what is going on: last year’s record-breaking summer; increasing severity of weather events around the world. Almost everyone over a certain age seems to have a story to tell about how weather patterns now differ markedly from those of their childhoods. As well as our own eyes and ears, we have woken up to ever-more-urgent messages from climate scientists. Last October the UN’s climate expert group issued its clearest clarion call yet: there are 12 years left to put in place measures to limit warming to 1.5 degrees centigrade, beyond which impacts will be almost unimaginable. For organisations like Christian Aid, and the communities with which we work, the effects of climate change are already stark. Millions of the world’s poorest people are feeling the worst impacts of climate change, with experts predicting more floods, drought and extreme weather patterns to come. Typically, the poorest countries and communities are amongst those most vulnerable to extreme weather. To compound that injustice, they also have fewest resources with which to prepare, adapt and protect their people from its effects. It is humbling and inspiring – yet discomfiting – to hear stories from places such as Bolivia, the Philippines and Zambia about people there demonstrating enormous resilience in defiance of a climate crisis inflicted on them by others in far-off lands. For example, with support from Christian Aid’s partners, Sussett Enolva and her family in the Philippines have built a solar-powered and typhoon-resistant house after being made homeless by Typhoon Haiyan. The solar power enables her children to do homework after dark, and powers a water pump to grow vegetables. Gertrude Hamooya is a small-scale farmer in Zambia cultivating maize and ground-nuts. She has had to cope with unpredictable seasons and flooding destroying crops and making it harder to transport goods. Last year Gertrude joined calls from around the world for Scotland to ‘Give it 100%’ in its efforts to tackle climate change. Scotland finds itself in an interesting position: ahead of many, but behind where we need to be. In recent years Scotland has taken many positive steps and is often held up as a climate-leader. In some respects, that’s true – Scotland has done more than most in terms of cutting emissions, and the Scottish Government has shone a spotlight on crucial issues such as Climate Justice (the disproportionate impact of climate change on those who have done least to cause it, and the need to make good that injustice). Yet as climate science clarifies, as the evidence mounts, and the impacts worsen, so our level of ambition must respond accordingly to reflect what we know needs to happen. In that respect Scotland – and indeed virtually every other country – is still far behind where we need to be. Science suggests that richer countries need to become ‘climate neutral’ – to reach net-zero greenhouse gas emissions – within a generation. Scotland, having made a good start down that path, and being blessed with huge renewable resources, must surely be at the forefront. As the Scottish Parliament turns twenty this year, MSPs face a choice. A new Climate Change Act – to be passed in the coming months – will re-set Scotland’s ambition for the decades to come. As our children call on us to protect their futures, as the poorest people around the world suffer, and as scientists tell us to act with greater urgency than ever, now is the time for leadership, is it not?